Once again, Bryan and Amanda Bickell’s summer has gone to the dogs. And for that, they couldn’t be more grateful. In 2013, when the couple started the foundation that bears their names, the one whose goal is to place pit bulls in need of adoption into suitable homes and bring therapy pit bulls into the lives of abused children they wanted, more than anything, to change people’s perception of the breed. During the NHL off-seasons, Bryan and Amanda can be found hosting various pit bull health clinics, something they recently did in Waukegan, Wisconsin. At the health clinics, it’s not uncommon for dogs to show up to with cable cords as collars/leashes, chains around their neck, or in some instances, shoelaces as a leash. Through the Chicago Loves “Pits” program, the foundation provides owners, free of charge, with the proper and necessary equipment for their dogs. The Bickells also work closely with the dogs who have been rescued or adopted, bringing together certified therapy pit bulls together with children who are victims of abuse through their ‘Paws for Strength’ program. Bryan and Amanda also assist children who have been victims of bullying, teaching kindness and compassion through interaction with pit bulls as part of their ‘Bullies Against Bullying’ program. “It really can be a tear jerker when it comes to working with the children,” said Amanda, whose mother was abused when she was a child. One of the foundation’s biggest draws is the ‘Bick’s Pits’ calendar, which launched in 2014. 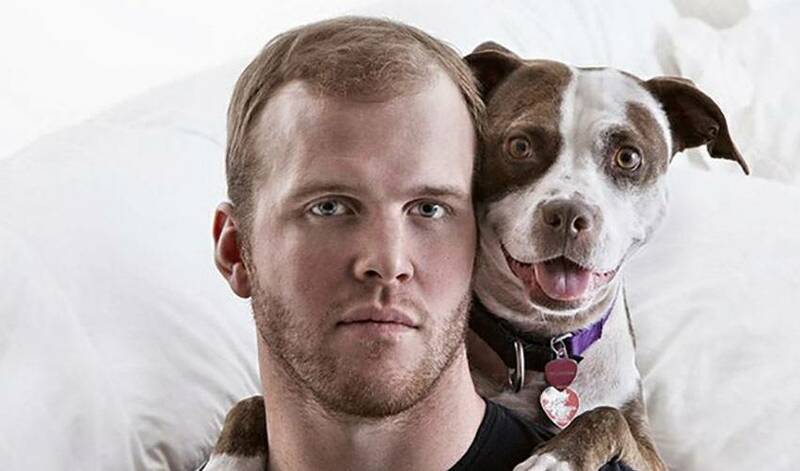 The couple came up with the idea of showcasing Bryan’s Blackhawks’ teammates and adoptable pit bulls in a variety of fun photo shoots. Another initiative, the ‘Stanley Pups,’ six dogs (including one named Bickell) who were rescued after Chicago won the 2015 Stanley Cup in six games, has also had similar fanfare. For more on their cause, visit their website www.bickellfoundation.org or find them on Facebook at http://www.facebook.com/ChicagoLovesPits.